Meet the people who make Digital Matters possible. We are a team of researchers, librarians, staff, and students coming from a variety of disciplinary backgrounds to make for a vibrant culture of learning. I’ve been at the University of Utah since 2015, and was appointed to a four-year term as director of Digital Matters in 2018. My research and teaching interests lie in digital humanities, new media studies, and Asian American literature. As director, I’m responsible for communicating with upper administration and our campus stakeholders, building policy and programming, and raising our profile on a national level through projects, grants, and teaching. I’ve been a librarian at the Marriott Library since 2013 and have served in a variety of roles, first as the Assistant Director of the Mountain West Digital Library (2013-2015) and later as the Data Management Librarian (2015-2018). In March 2018, I started my new position as the Digital Matters Librarian where I work closely with the Digital Matters Director and Postdoc to coordinate digital humanities research, instruction, and support at the U. My research interests are data management, digital humanities, intellectual property, and digital libraries, with particular interest where these areas of study overlap. I completed my MLIS from the University of California, Los Angeles where I was a graduate student researcher on Dr. Christine Borgman’s Knowledge Infrastructures Team. I’ve been the Digital Matters Postdoctoral Fellow since January 2018. I research and teach at the intersections of environmental humanities, digital humanities, and new media studies, although I am partial to science fiction as well. At Digital Matters, I coordinate the Research Interest Group, consult with faculty and students about digital projects, assist with the day-to-day operations of Digital Matters, and teach in the Honors College. I completed my PhD in English at the University of California Santa Barbara in 2016. 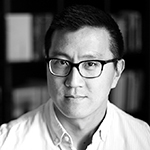 Dimitri Damiel Kim is a founding member and principal of ‘X-Lab’ (XMANIFOLD Applied Design Research Laboratory), a trans-disciplinary practice working in all scales of projects in architecture, interior, product, and urban environment. As a new faculty fellow of Digital Matters and a visiting assistant professor of Multi-Disciplinary Design Program at the College of Architecture + Planning, Dimitri will help bridge the gap between interdisciplinary research and design. Dimitri received a Master of Science in Advanced Architectural Design (M.Sc) from Columbia University and a Master of Architecture (M.Arch) from SCI-Arc. He was a fellow resident of Columbia University’s Design Tech Incubator, GSAPP Inc., from 2015-2017 and have previously taught architecture and interior design at CUNY, NJIT, FIT, NYSID, and the New school at Parsons. I am the Digital Matters Program Assistant. As the Program Assistant I schedule Digital Matters events, coordinate the creation and dissemination of promotional content for the Digital Matters, and help with with the logistics of events. I am also a graduate student of the U in the International Affairs and Global Enterprise (MIAGE) program and am concurrently pursuing a certificate in Geospatial Information Systems. Tiana Birrell comes to Digital Matters from the Environmental Humanities Graduate Program, where she is pursuing a master’s degree in Environmental Humanities. Jace Brittain comes to us from the English Department, where he is working on a PhD in Creative Writing.